This gorgeous piece of granite was supplied by European Marble and Granite, our natural stone fabricating partner. 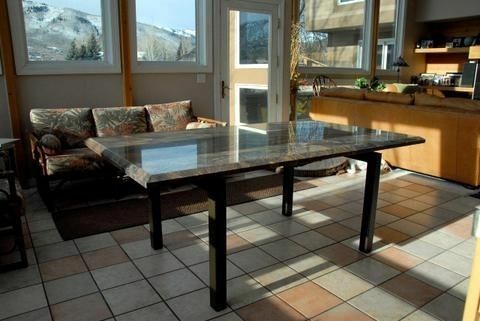 The steel table base was designed to make the stone top appear to float. The metal was painted with a custom color to enhance the beauty of the stone.